Spring 2014 National Rx Take Back Day was a great success again! We collected 73 lbs of medication on Saturday! 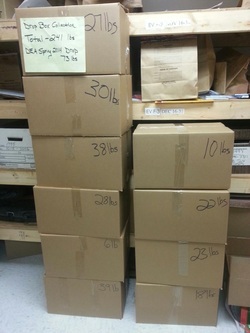 In the past 6 months, the Evansville Police Department has taken back 241 lbs of various medications. These medications are now out of our homes, our waters and the hands of our youth!! Great job Evansville Police Department, thank you for keeping our community safe! Keep up the good work! Nick, Dana and Marissa were qualifiers from EHS. We are so proud of our SADD group and EHS students! Marissa Haegele, our BASE Youth Representative and SADD President, was named Operation Click Student of the Year, out of 5 High Schools, Evansville, Edgerton, Orfordville, Craig, and Parker!! Great job Marissa! You are such an asset to our community and to BASE, we appreciate everything that you do! Nick and Dana were the qualifiers from Evansville to receive a key and try to turn on the 2010 Chev. Cobalt and win it if it started!! Unfortunately, out of only 8 keys, and Evansville had three of them, our keys failed to start it. History: The BASE Coalition is dedicated to shifting the culture and behavior of our community to decrease high risk behaviors in our youth. Mission: The BASE mission is to raise awareness about the impact that high risk behaviors have on our community provide education and engage all stakeholders in order to reduce youth substance abuse. Building a Safer Evansville 104 W. Main St.